Bandera Records boss Bernie Harville was born in 1933 in Southern Illinois and moved to Chicago in 1936 with his mother after his parents split up. Bernie had been an avid country music fan since his early teens. 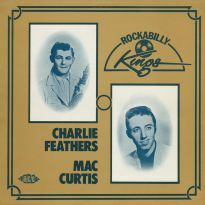 Growing up in Chicago, he was fascinated by country and hillbilly labels such as Macy’s, Gold Star and Talent and as a boy he picked up 78s on these labels at a 5 & dime store near his home at 2437 West 34th Place. His fascination with country led him to take a trip by Greyhound bus down to Texas with a friend in the early 1950s. He ended up in Odessa where he and his friend found work in the oilfields. While in Odessa, Bernie became friends with the up and coming country music star Sonny James, after a chance meeting. Sonny was touring with a Louisiana Hayride Revue headlined by Slim Whitman, one of Bernie’s idols. Sonny invited Bernie to become President of his fan club and produce a newsletter. 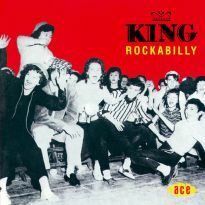 They also struck up a songwriting partnership and collaborated on the song ‘Won’t Somebody Tell Me’ which was one of Sonny’s early releases in 1953 for Capitol Records. Bernie’s songwriting activities were interrupted by the arrival of his draft notice in March 1953. He opted for a four-year stint with the Navy and was posted to the huge US Navy base in Long Beach, California, just outside of Los Angeles. While Bernie was serving his country, Vi took over the running of the Sonny James fan club and newsletter. However, Bernie continued with his songwriting, sending some of his efforts to his mother back in Chicago. His passion for music led to him becoming a DJ on board ship where he was known as ‘Hoot’ Harville. 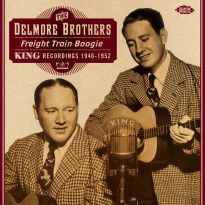 After completing his service in 1957, Bernie travelled to Springfield, Ohio to work with his navy buddy, guitarist O’Brien Fisher. Fisher had just started his own label, and April of that year, Billboard Magazine reported “O’Brien Fisher of Yellow Springs, Ohio, sets up Spangle Records”. The first releases were recordings by 14 year old Donna Marlene as well as Fisher’s own ‘Monkey Love’. In June 1957 Billboard reported “ Hoot Harville replaces O’Brien Fisher as A&R man at Spangle”. Soon the company was taken over by new owners and Bernie returned to Chicago to set up his own label, Bandera Records, in partnership with his mother, Violet Muszyinski. They started Bandera (named after an early Slim Whitman recording, ‘The Bandera Waltz’) early in 1958, working from a room in their home. Bernie’s mother was well known around the Chicago music scene as “Vi the record lady”. Bernie recalls that she was a great hustler, into PR and record promotion and very good at schmoozing. However, money was tight and in the early days Bernie had to work as a bus driver to help make ends meet. Vi Muszynski was an ardent talent spotter. Her greatest discovery was the Impressions, featuring lead singer Jerry Butler. She signed the Impressions to a recording contract with Bandera and enlisted the help of her friend Calvin Carter from Vee-Jay Records to produce the record. Carter was obviously impressed by the group as he then struck a deal with Vi to release the disc on Vee-Jay. Bernie recalls “That really got us the money to set up Bandera and paid for our first recording sessions at RCA in Nashville for my new discovery, Bob Perry”. 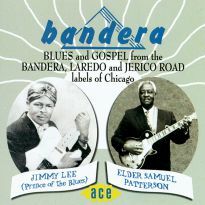 After its initial country music releases, Bandera was forced to diversify in order to survive, and so started to release blues, gospel and pop recordings. 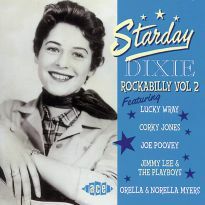 New acts were recorded, including the blues artists Jimmie Lee Robinson and Dusty Brown. 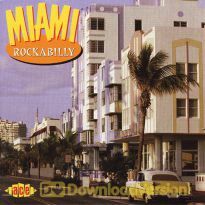 From the popular field the Sidewinders and Benny Ingram had releases, but what the label needed to sustain operations was a hit. However, they were hard to come by. A look through the files at Bandera provides ample evidence that payola was rampant, especially on radio stations in the major cities. Bandera could not afford to pay for play and Bernie found that it was easier to lease some of his masters to more established labels such as Imperial and Todd, rather than pursue a hit on his own label. Bernie used a network of country stations across the South, especially in Texas, that gave good airplay to Bandera’s country releases. 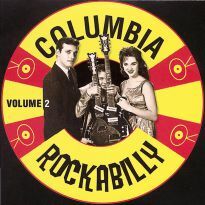 In the 1950s there was plenty of work for country bands in the clubs and bars of Chicago and this attracted many hillbilly bands from the South, as well as from Ohio and Indiana. Elvis had taken the country market by storm and everyone in the business was looking for an artist who could emulate his success. 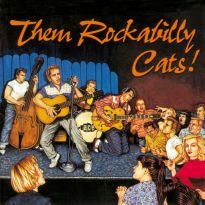 Bernie was not particularly fond of rock’n’roll, but he remembers Marty Robbins telling Vi “If you can’t beat ‘em, join ‘em”, so Vi and Bernie set out to find their own Elvis. This did not take long as they soon discovered Benny Ingram working with the Sidewinders in a local club. Ingram, resplendent in pegged pants and white bucks, looked the business and performed energetically. He also had a song, ‘How Can I Keep You Lovin’ Me’, which sounded as if it might appeal to the teenage market. Bernie set up a session at the Hall Studio, with Stu Black engineering. For this session the Sidewinders, who also cut two instrumentals of their own, ‘Sidewinder’ and ‘Gully Washer’, backed Ingram. Ingram cut a great version of ‘How Can I Keep You Lovin’ Me’ followed by an up-tempo song for the B-side, ‘Jello Sal’. 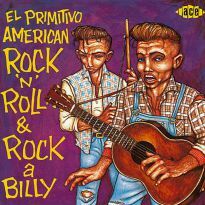 ‘Jello Sal’, a red-blooded rockabilly stomper, complete with Charlie Feathers style s-s-stuttering vocals, is now recognised as a classic of its kind. Vi placed the publishing for the song with Golden River Music, owned by the DJ Happy Wilson who came from Birmingham, Alabama. He had been a popular country recording artist in his own right before becoming a DJ. 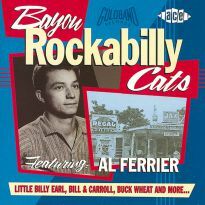 His band, the Golden River Boys, had included Hardrock Gunter and Vi was hoping that Wilson’s many contacts in the South would help make the Benny Ingram record a hit. 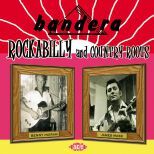 Despite everyone’s best efforts, Bandera 1302 failed to sell and consequently is now one of the most sought-after rockabilly originals, with collectors paying up to $1000 for a good copy. Ingram’s record was then leased to Paul Cohen’s Nashville-based Todd Records in 1959, although there is some confusion over whether or not it was ever issued. I have a release number [Todd 1048], but neither Bernie Harville nor myself have ever seen a copy of the record. Benny Ingram did not cut any further sides for Bandera, but turned up a year later as Benny England with a release, ‘Elopin’, on the tiny Indiana-based Snap Records. This master was later distributed nationally on Zenith Records without notable success. 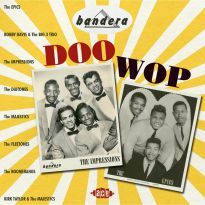 Bernie released the Sidewinders’ instrumental sides on Bandera’s R&B series - but after an initial run of just 300 pressings he leased the sides to Lew Chudd’s Imperial label. 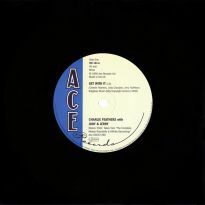 The band later returned to the studio to cut a couple more sides for Bernie with lead guitarist Rick Emerson on vocals, but ‘Dance With Me’ and ‘Anna’ have remained unreleased until now. One of Mississippi’s lesser known lights, country singer, musician and proto-rockabilly, James Mask was born on a farm in Pontotoc, Mississippi in 1932. The tiny hamlet is close to the picturesque Natchez Trace and only a few miles from Elvis’ birthplace, Tupelo. While still in his early teens, James learned to play fiddle, quickly becoming adept on the instrument. He put a band together to play shows around Tupelo, but when supporting Benny Hess at a show there, Mask’s lead guitarist Cleo Elliott defected to the Hess Band. Soon afterwards, Hess sent for James to invite him to come to Houston to join the band on fiddle. James played in the Benny Hess Band from 1951-52 and remembers cutting records and playing all over Texas and Louisiana, doing dates alongside artists like George Jones. On his return to Mississippi, James heard Elvis Presley’s Sun recording of ‘That’s All Right Mama’ being played on the radio. This record changed the face of country music and Mask played on Elvis’ first shows in Tupelo. James also did shows around this time with Hayden Thompson, Gene Simmons and the Miller Sisters. “Gene Simmons asked me to go to Memphis to audition for Sam Phillips” Mask told me recently, but declined as he was not comfortable working in the new rockabilly style. A couple of years later James started doing shows on radio station WCPC in Houston, Mississippi, a town about 30 miles south of Tupelo. Mask got on well with station owner Ralph Mathis and when the station went off the air for the night, Mathis cut a number of sessions with him in the studios there, the results being sent to Bandera. By this time Mask had put another band together, the Impalas, with his brothers Willie (rhythm guitar) and Charles (bass) and lead guitarist Talmadge Hester. Later they added a drummer Bobby Holland. At this time he and his brothers still had day jobs at the furniture factory in Nettleton, Mississippi and mainly just played club dates at the weekend. One regular gig at this time was on Saturday nights at the American Legion in Boonville, Mississippi. With the prospect of releases on Bandera, Ralph Mathis wanted Mask to cut new sessions at better studios in Memphis. Mathis got in touch with his friend Eddie Bond at Radio KWAN in Memphis and he arranged for them to record at the Hi Studios. In a letter to Bandera, Mathis informed Bernie Harville that Bond had hired Sun Records’ Jack Clement to produce the sessions. However Billboard in September 1959 reported “James Mask has completed his first Bandera release ‘Save Your Love’ / ‘Stolen Honey’. The session was produced by Bill Cantrell and Les Bihari and will be set for release in October.” James Mask told me recently that he did at least three different sessions at Hi Studios. He remembers that some of his sessions featured Reggie Young on lead guitar. Mask has remained active in music and is still singing today with his new band, although a stroke has curtailed his guitar playing activities. During the 60s he cut sides for other labels including Tom Big Bee, Arbet and Sounds of Memphis. Bernie Harville’s old pal, now known as Brien Fisher, had a residency with his band in a music bar in Chicago in 1960. When the bar owner, Chuck Akin, decided that he wanted to make a record of his own to play on the jukebox in his bar, Fisher brought him to Bandera. The record (Bandera 1311), a cover of the Frankie Ford B-side ‘Roberta’, was recorded with Brien Fisher’s band providing the backing. This record is now quite sought after by collectors and a good copy can go for up to $75! 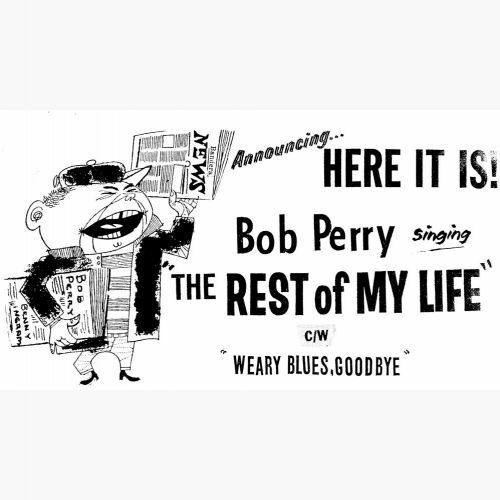 Singer/guitarist Bob Perry was born in Charlotte, North Carolina, but moved to Mishawanka, Indiana with his parents. He loved country music and learned to play guitar in his early teens. He formed a band with Luke Brandon (lead guitar), Harvey Roulston (steel guitar) and Please Taylor (bass), playing rhythm guitar himself on his prized Martin flat top. The Perry band secured a regular spot on Radio WRKH in Rockwood, Tennessee and was soon brought to the attention of Bernie Harville. Perry was the first artist to be signed to Bandera and Harville was so impressed with him that he booked the renowned RCA Studio on Nashville’s Music Row to record him in June 1958. Bandera had some money in the kitty following Vi’s deal with Vee-Jay for the Impressions and Bernie resolved that only the best was good enough for his new star. He hired Chet Atkins to supervise the sessions, which featured the cream of Nashville’s studio musicians. The great steel guitarist Jimmy Day was one of the featured musicians on the first sessions. 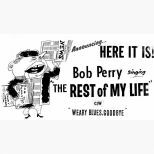 Bob Perry got so carried away by Day’s stunning solo on the bridge of ‘Weary Blues Goodbye’ that he can be heard to shout “Play it Jimmy boy!” on the record. 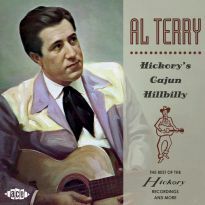 Despite the lack of success with the first release, Perry cut a second session for Bandera in Nashville in 1959, but soon after was snapped up by Top Rank. That company released just one single ‘Juke Box’ / ‘Blue Tears’, the latter written by Jay Miller. Other one shot deals followed for Cool Records and Bandbox. Bernie Harville has lost touch with Bob Perry in recent years. He was last heard of living in Elkhart, Indiana, where he had been playing the clubs. However, as much of the work was performing Marty Robbins impersonations instead of his own numbers, he became disillusioned and quit the business. 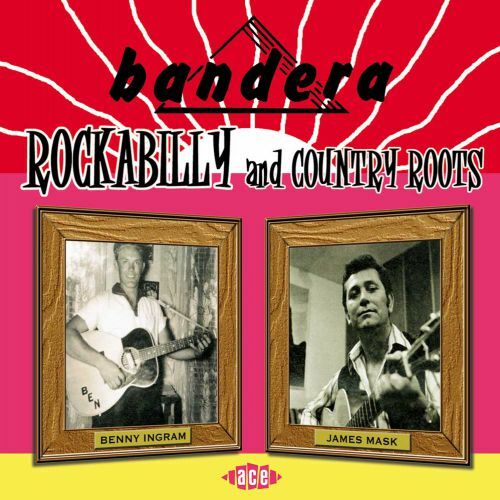 Merle Ray (aka Marle Ray) and his Southern Rockets came to Bandera with a country version of the Drifters’ current hit ‘Save The Last Dance For Me’, (Bandera 1309). Bernie took the band into the RCA Studio in Chicago for the session. 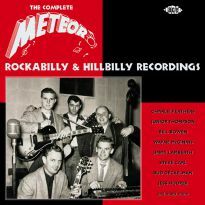 The following year Merle and the Southern Rockets cut another session for Bandera backing country singer Patty Prater on ‘No Substitute For Love’. One of the last great rockin’ records that Bernie Harville produced was the truck-driving record ‘Roll That Rig’ by B.J. & The Boys (Bandera 1318). This was cut at the A.E.A studio, owned by Bernie’s old pal Brien Fisher. 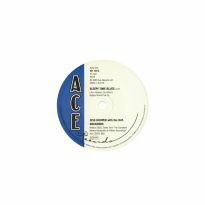 Fisher had built the studio in his house in Elmhurst, Illinois and he cut many fine country records there, releasing them on his own labels A.E.A Records, Fine-R-Tone and Scarlo. “B.J.” was Brien’s brother Bobby Jack, the vocalist in the band. 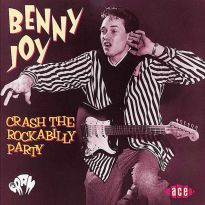 The recording also features Brien on guitar with Johnny Wills on drums. 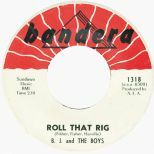 Strangely Bernie’s mother Vi later recorded another version of ‘Roll That Rig’ for release on Bandera subsidiary Laredo, with a black vocal group Little Ben & The Cheers. We hope that you will enjoy this collection of country roots and rockabilly sides from Bandera Records. Most of these sides were only previously available as 45s on Bandera and several are previously unissued. Apart from ‘Jello Sal’ none of this material has ever been released on CD before.